VMware Workstation, is a great test tool, if i need to take a look at some new software, or plan how I’m going to do a job, and I don’t have access to the ESX server, or test bench, it’s a great tool to have on my laptop. 1. I’ve titled this Windows 8 and Server 2012, but this process works for just about any modern version of Windows. Build the machine that will be the template, and install all the latest updates. 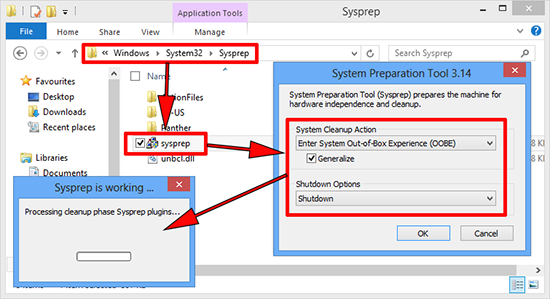 Locate sysprep.exe uisually in C:WindowsSyste32Sysprep, and run it. 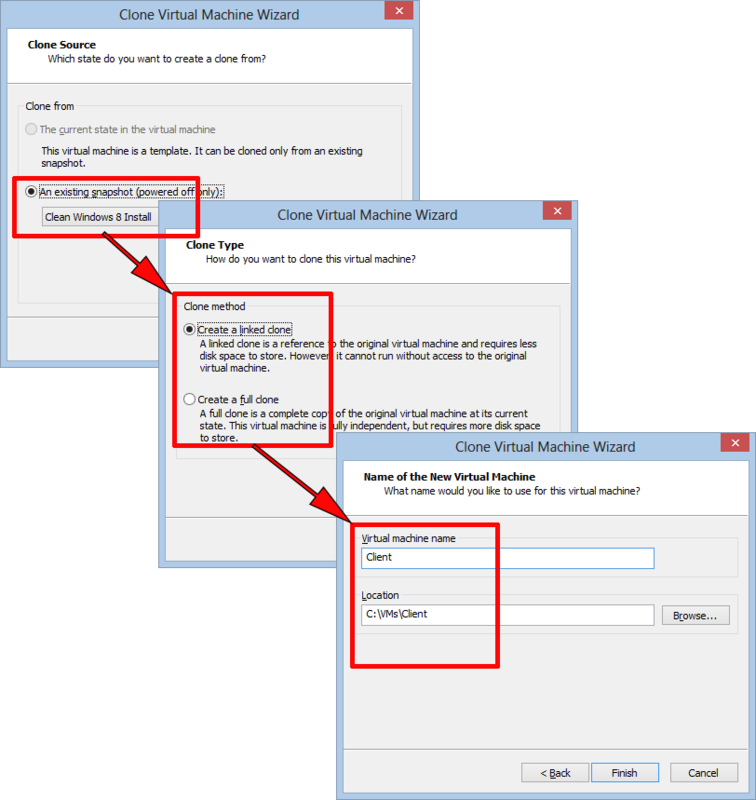 Ensure the ‘Generalize’ option is selected, and the shutdown option is set to ‘Shutdown’. 2. 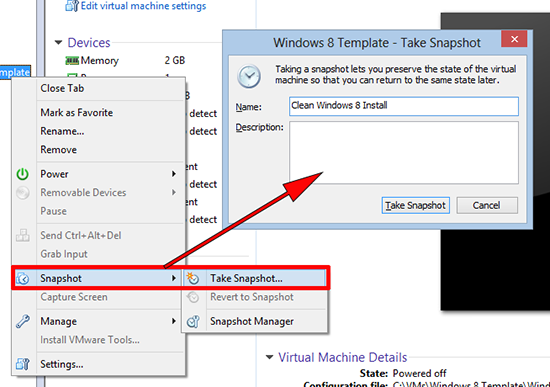 Once finished the machine will shutdown, in VMware Workstation right click the VM > Snapshot > Take Snapshot > Give the snapshot a sensible name > Take Snapshot. 3. 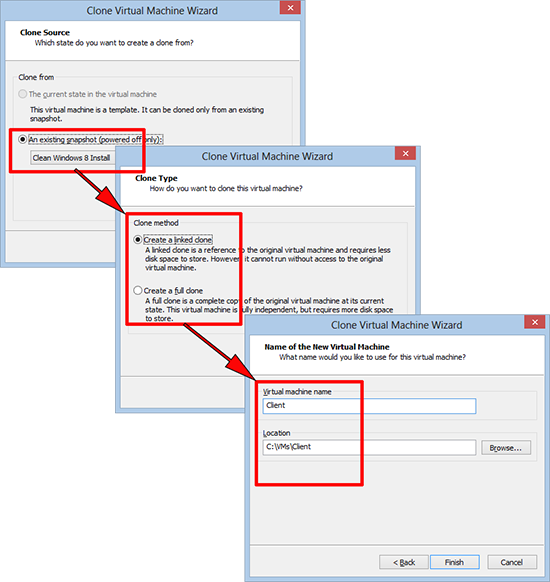 Once complete > Right Click the VM again > Settings > Options Tab > Advanced > Select ‘Enable Template mode (to be used for cloning) > OK.
4. 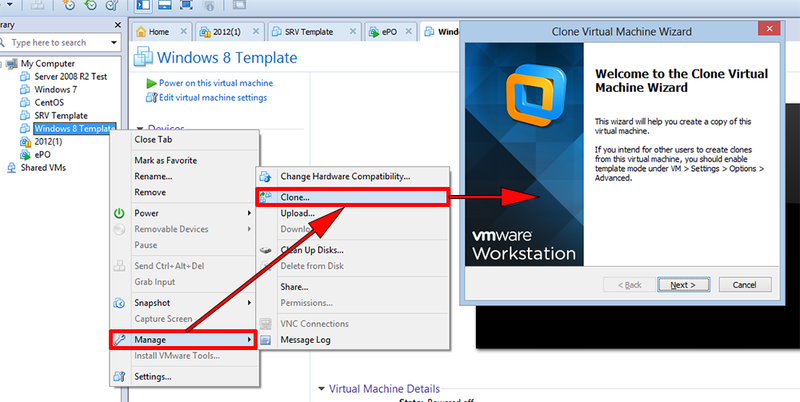 Now every time you want a new VM simply right click the template > Manage > Clone > When the wizard starts > Next. 5. Choose the snapshot name you picked in step 2 > Next > Linked Clone (if you choose full clone it creates a complete new machine and will take a LOT of system resources) > Next > Give it a name > Finish. 6. 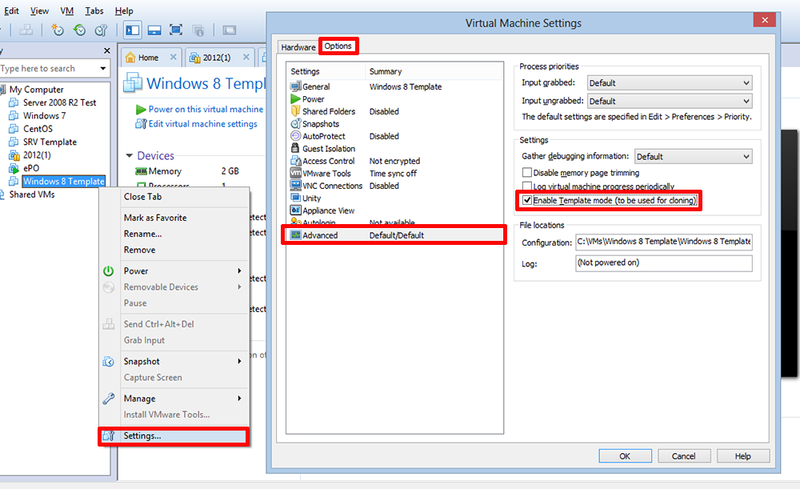 Power on your new machine and it will run the mini windows setup, and behave like a completely new VM.